To pay homage to the fastest man on the planet, Virgin Media, via CURB, beamed Bolt onto the streets of London for a virtual victory lap to celebrate his incredible record-breaking career. 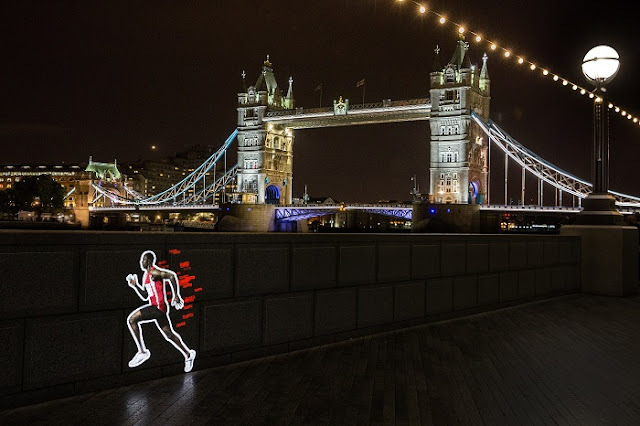 The activity was all captured in a cutting-edge video and in the film, titled #ARunningLegend, Bolt is seen running through well-known locations and across famous landmarks, while taking in some of his favourite haunts in the capital. Bolt, who has been a Virgin Media ambassador since 2012, crossed the finish line for the last time in a 100m final just after 21:45 Saturday 5 August, picking up a World Championship bronze. 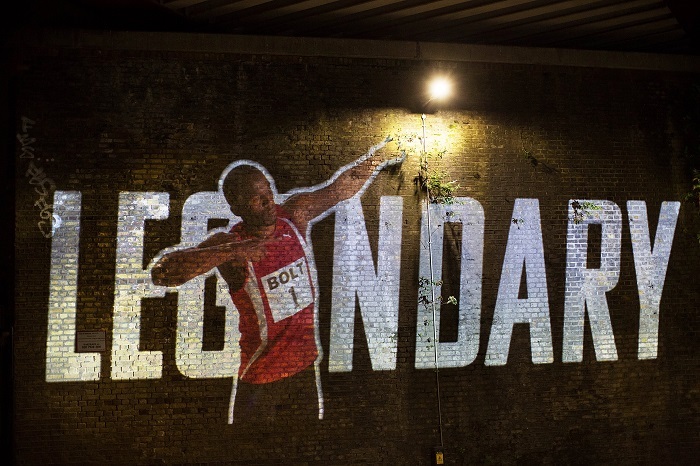 Adam Azor, Managing Director at CURB, comments: “When it comes to honouring Usain Bolt, you can’t do anything less than extraordinary. 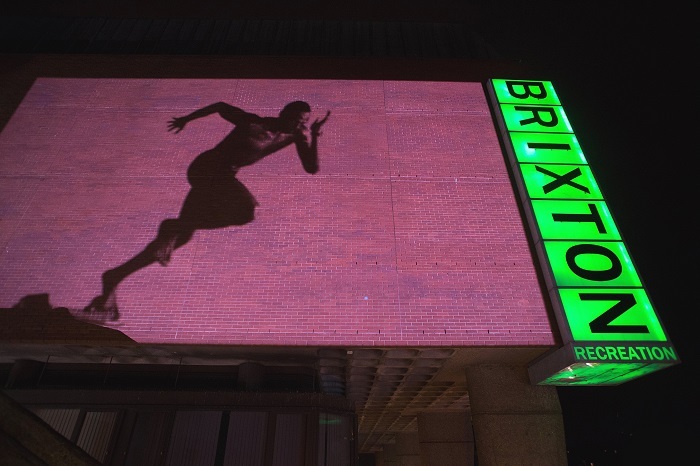 CURB wanted to celebrate his relationship with London by telling a story that was delivered using the latest projection technology and which allowed the great man to run London one last time.”Bolt’s Victory Lap begins in Brixton – home to one of largest Jamaican communities in England – and sees him projected onto the Electric Brixton, where he is poised, ready to begin his race. Bolt then heads back to the West End, where he is projected dancing above clubs in Soho, where he famously celebrated his 30th birthday last August. 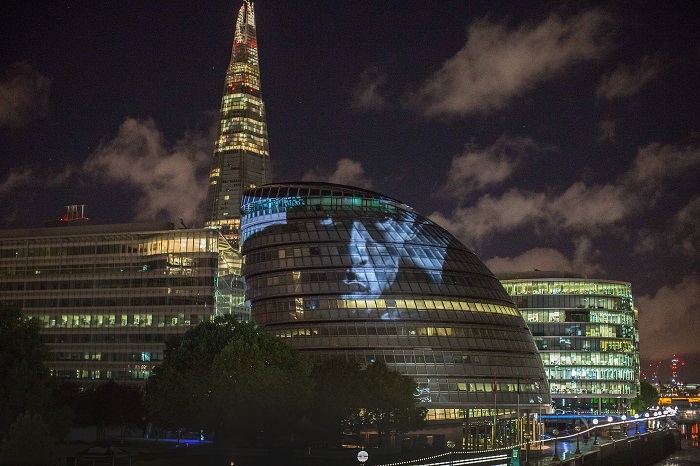 The video culminates with Bolt finishing his victory lap at City Hall with an epic shot of the London skyline, where the hashtag #ARunningLegend is projected onto the building to close the film. At CURB, we create extra-ordinary consumer experiences built around innovation and disruptive value creation. As part of CSM Live, CURB's purpose is to push the boundaries of how technology, science, people and space can be integrated to help clients bring big ideas to life. Founded in 2008, our unique approach to out-of-home media innovation, online/offline content creation and consumer experience has delivered over 200 media firsts for clients worldwide. Agencies and brands of all types use us when they are looking for cutting edge innovation, inspiring big ideas and often to help flawlessly deliver things clients assume cannot be done.